A common kitchen product that can be helpful to kill unwanted plants, but you need to be careful around plants you want to keep. This is a guide about killing weeds with vinegar. We've used vinegar for killing weeds around the garden, for several years now. It's a great way to get rid of weeds in cracks in cement or in a paved driveway. You can pour it on directly from the jug or put it in a spray bottle (use full strength). Just a word of warning, if you don't want it to die, then don't go near it with the vinegar. If using in a flower garden, be careful around the plants you want to keep. The vinegar will leach to the other plants through the roots and kill them, so it may be better to pull these by hand. Put straight vinegar into a cheap garden sprayer ($12) and spray this onto your weeds. You can also pour the vinegar right on to the soil to kill the roots and stop everything from growing there in the future. If you heat Vinegar up, it works even better. You can also buy a special vinegar with a stronger acid content at most plant nurseries that works even better! If you want a temporary week killer and don't want to stop everything from growing, just pour boiling water on to the area. It's easiest to use a propane camping stove and boil your water outside. Use a camping coffee pot with a handle and a pouring-spout if you have one. Be careful that the steam doesn't splash back and scald you! Use pickling vinegar instead of regular white or malt vinegar since it contains 7% acetic acid and not the usual 5%. The ratio of 1 teaspoon (5 millilitres) of liquid washing soap to 1 gallon (4 Litres) pickling vinegar is fine. When someone said to use vinegar for weeds, do they mean the white vinegar or not? It is the white vinegar. Be careful though - it is not selective at all. Any plant you get vinegar on, is going to be cooked by the vinegar! What ratio of vinegar and orange oil would you use to kill weeds? Spraying straight vinegar on weeds kills them; be sure to do only when the wind is not blowing! What kind of vinegar do you use to get rid of the grass in your driveway? Thx. How do I make and use vinegar weed killer? I used it when I lived in Louisiana & had fairly good luck. On a bright sunny day, I would spray full strength white vinegar on weeds & grass growing in places I didn't want it growing (like a small crack I had in the driveway). It took a few days to work. It won't work on huge patches, just strays and small clumps. What are the effects of salt and vinegar on grass and shrubs that you don't want to kill? How long will it take for the ground to recover? How do I help the ground to recover? When too much salt gets into the soil, whether it's Epsom salt or a build up of fertilizer salts, water is drawn out of a plant's roots instead of flowing into them. This is normally referred to as "burning", but actually the plant is becoming severely (or fatally) dehydrated. The plant's leaves and stems start to shrivel and turn brown and leaves may mutate from chloride toxicity. The best way to remedy soil containing excess salts is to remove the contaminated soil and amend it with healthy, nutrient-rich soil. For the amount of salt used by most gardeners in homemade tonics, the area can probably be considered "recovered" as soon as it's refreshed with some nutrient-rich soil. Vinegar is a weak acid and when applied to the soil, it lowers the pH. Changing the pH too quickly can damage or even kill plants by altering their roots ability to absorb water and minerals. Fortunately, because vinegar is a weak acid, it degrades in water and doesn't bioaccumulate (stay in the environment). After flushing the soil with water, you can expect the pH to return to normal within 48-72 hours. Very few plants will survive a dose of salt and/or vinegar. The only way I know of getting rid of it is to leach it out by regular watering. How effective this will be depends on what lies below the top soil; if its clay for e.g. then the remedy may not work - you may have to remove the top soil altogether. If its a well draining subsoil i.e. sandy then you should have some success - I hope. Also try a neutralising treatment to adjust the ph. If you spray vinegar ''at what rate?" will you be able to grow other plants in the same area? Does the vinegar sterilize the ground or how long will it keep weeds from reappearing? I sprayed some moss with 100% vinegar and it killed the moss. It also killed the grass that abutted the moss. That was about 4 weeks ago and the areas that I sprayed have not turned green. So, it will be some time before any grass grows in those areas.When the weather turns better I will put down some lime in those areas to see if that helps the grass grow again. Vinegar is a great weed killer, even better with dishsoap in it (the soap acts like a bonding agent) It will kill anything. But unfortunately it changes the soil so that nothing will grow there after it has been used. Bleach is better 50/50- it doesnt hurt the soil and doesn't harm the environment. It dissipates after about 12 hours. Although found this...Bleach, or sodium hypochlorite, has a pH of around 11, which means it can raise the pH of your soil, and this may damage valuable plants. Application of bleach to kill weeds also adds sodium to the soil, and this can make it difficult to grow plants in areas of your landscape treated with bleach. Vinegar, on the other hand, is a natural weed killer that does not negatively affect the soil. http://homeguid  negar-42435.html So personally I'd stick with the vinegar if you think you want to grow something there later. Question: Will Vinegar Harm New Trees? Will using vinegar to destroy grass and weeds between bricks harm newly planted trees? If the vinegar gets to the soil near the trees it might kill them. I have a weed puller (from Lowe's) I use. It last for ever, good luck. I am looking for a recipe for weed control using orange oil, molasses, and vinegar. What is the recipe for killing dandelions? Will vinegar and Epson salt also kill the grass? How do I use vinegar to kill weeds in my lawn? Can you use vinegar to kill weeds? I need an inexpensive remedy to kill weeds. When using vinegar as a weed killer, will it kill grass and /or plants such as lambs ear? If so, what do you recommend using to kill the weeds and not the plants or grass? Thanks so much! Vinegar is non-selective, meaning it will kill anything it comes into contact with. This is usually limited to the above ground growth on a plant, which is why repeated applications are often necessary to completely kill weeds. How much damage a "desirable" plant sustains from contact with vinegar depends entirely on the amount of its exposure to it. The reason using vinegar is so popular is because it's inexpensive. It also doesn't have any permanent negative long-term effects on the soil, although it does alter its ability to support growth in the short term. The distilled vinegar commonly found in grocery stores is usually a weak concentration (5 %), so it's considered safe for use around children and pets. 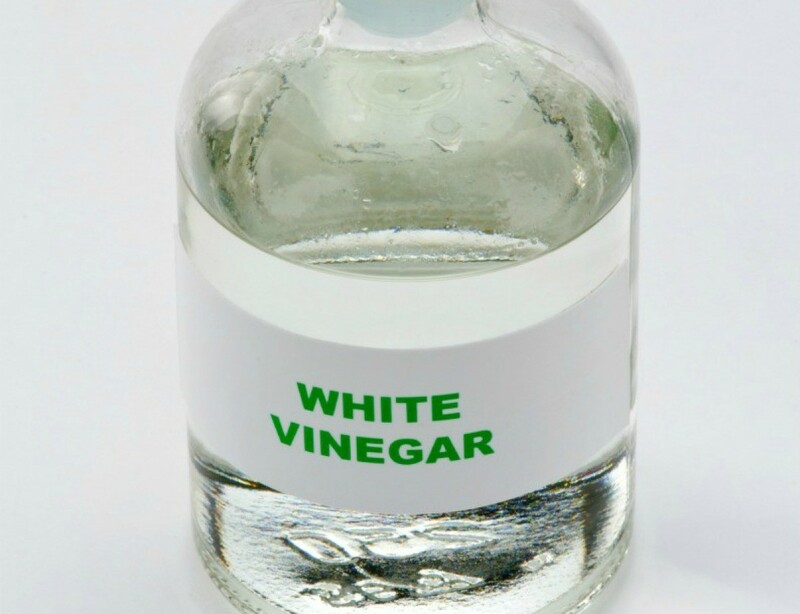 Higher concentrations of vinegar (20%) are available at some home or garden centers, but they can cause eye and skin irritation and should be used with extreme caution. I don't know of any "earth-friendly" chemicals that work on weeds without also harming grass and desirable plants. Surrounding weeds with a coffee can (bottom and top removed) or another type of barrier will prevent the vinegar from drifting onto desirable plants while your spraying. You can "paint" vinegar on individual weeds to avoid damaging grass. To prevent weeds from emerging on your lawn while simultaneously fertilizing it, try to time an application of corn gluten meal to coincide with emerging weeds. 20% vinegar is dangerous - it burns skin and eyes. See the joint statements from Washington and Oregon State Universities extension service at this web address.